"My life has changed completely since the show. I've grown immensely as a person, and as a woman, and I will forever be grateful for that," JoJo Fletcher told People. 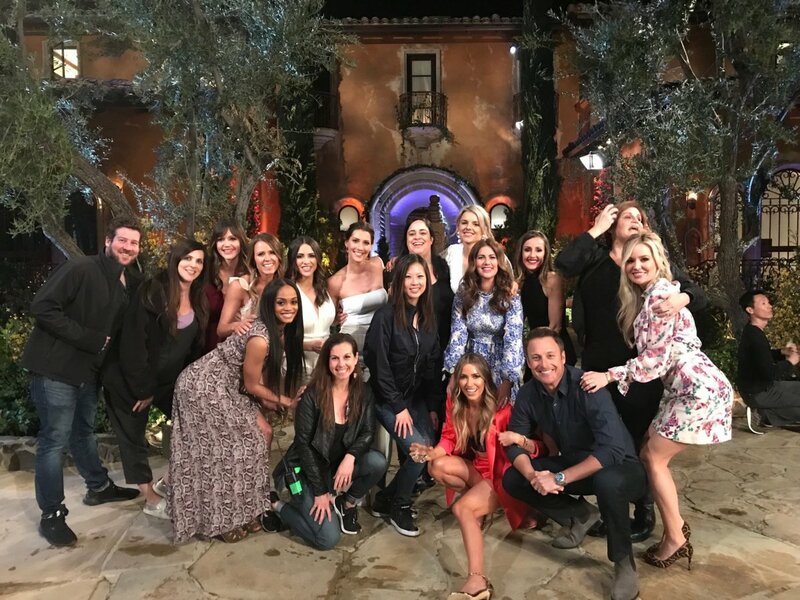 Most of the women who have starred on The Bachelorette in its previous 14 seasons gathered during the last weekend in March to film Bachelorette Reunion: The Biggest Bachelorette Reunion in Bachelor History Ever!, which is scheduled to air on Monday, May 6 on ABC. The following ladies clearly participated based on social-media photos: Trista Sutter from Season 1, DeAnna Pappas from Season 4, Jillian Harris from Season 5, Ali Fedotowsky from Season 6, Ashley Hebert from Season 7, Emily Maynard from Season 8, Desiree Hartsock from Season 9, Andi Dorfman from Season 10, Kaitlyn Bristowe from Season 11, JoJo from Season 12, Rachel Lindsay from Season 13, and Becca Kufrin from Season 14. "One of the best things is the love and support we get from the fans," Becca, 29, who is engaged to her 2018 season's winner Garrett Yrigoyen told People. "They want everyone to succeed and be happy, and that's really great to see, not just for me, but for everyone who comes after me." Current Bachelorette Hannah Brown unfortunately didn't make the party because Season 15 of the series is currently filming. But everyone else traveled from around the country to celebrate the ABC reality dating competition series. "Even though we're all different ages we're all friends," Ali, whose season aired in 2010, told the magazine. "We're like sisters, it's really cool." Trista, Ashley, Desiree, JoJo and Becca are all still engaged or married to the men who had received their final roses. Trista is married to Ryan Sutter, Ashley is married to JP Rosenbaum, Desiree is married to Chris Siegfried, JoJo is engaged to Jordan Rodgers, and Becca is engaged to Garrett. But that doesn't mean the other ladies' experiences on The Bachelorette were not equally worthwhile and memorable. "If I hadn't had the Bachelorette experience, I don't think I would have prepared to meet and marry my husband," said Emily, 33, who married Tyler Johnson in 2014, two years after her season. The mother of four children added, "I have a clear vision of what I want. And I know that my purpose on earth is to be a mom." Jillian, 39, split from her fiance Ed Swiderski after their edition aired in 2009, but she insisted starring on The Bachelorette was a great time in her life. "I didn't end up with the guy that I picked, but I don't have any regrets," Jillian told the magazine. The now happily-engaged mom of two explained, "People associate The Bachelor and The Bachelorette with being fake, but the most real I've ever been was on this show, 100 percent." In addition to Hannah, the other two former The Bachelorette stars who were apparently missing from the event were Meredith Phillips from Season 2 and Jen Schefft from Season 3.